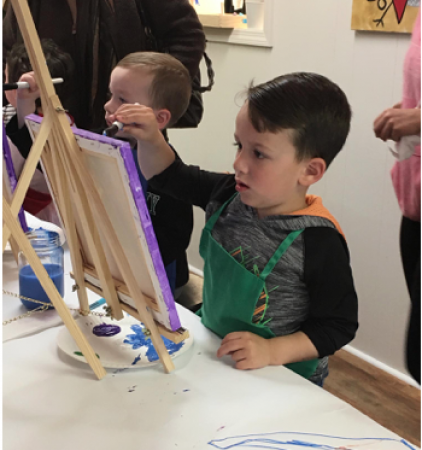 Young artists will discover their imagination, creativity and connection to art. 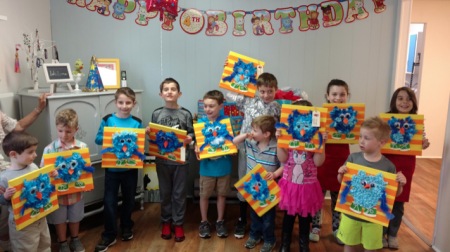 We provide all the materials.They will paint a 12 x 12 canvas using our step by step instructions and finish a painting your budding artist will be proud to display anywhere. Ages - 6+ years. Please arrive a few minutes before your class so you have time to check in with the Instructor, select an apron and choose your seat.